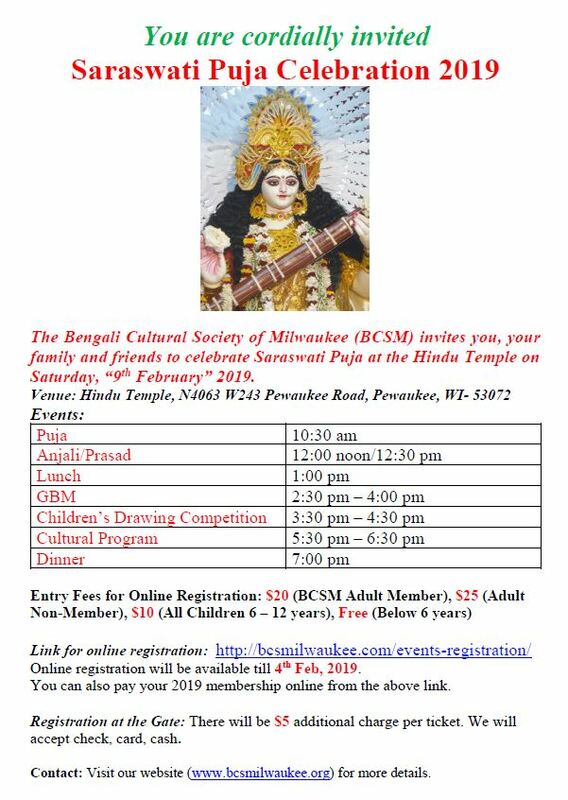 The Bengali Cultural Society of Milwaukee (BCSM) invites you, your family and friends to celebrate Saraswati Puja at the Hindu Temple on Saturday, “9th of February”, 2019. Onsite Prices at Temple is $5 more for adult and $2 more for children. The Bengali Cultural Society of Milwaukee (BCSM) invites you, your family and friends to celebrate Saraswati Puja at the Hindu Temple on Saturday, “20th January”, 2018. 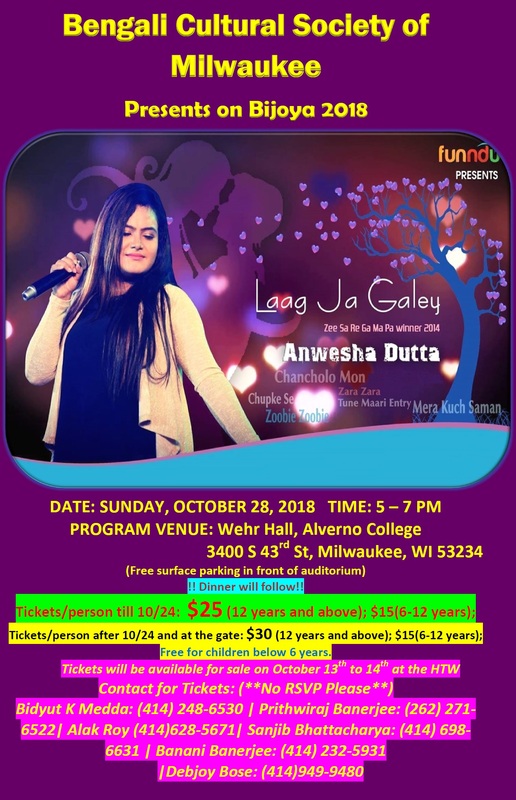 Parnava Banerjee, Champion of Zee TV Bangla Golden Voice 2006, is a versatile singer, proficient in Bengali Raag Sangeet to Modern Bengali Songs, Ghazals & Hindi Songs and performed in various national & international concerts. He is a regular Artist of TARA MUZIK, ZEE Bangla,Akash Bangla, Star Jalsa, Kolkata Doordarsan, Etv Bangla and many more. We are inviting articles, poems, drawings for our annual Durga Puja publication “Sharodanjoli. Please send your creativities, celebrating this festivities, at the below mentioned email address. Moreover the personal greetings donated by each of you are one of the important reasons for the success of our festival. 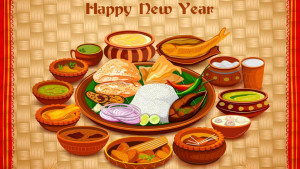 Request you to send personal greetings. All your help will make this festival a grand homecoming for Ma Durga. Below are some necessary guidelines. 1. Personal Greetings rates Full Page: $100, Half Page $50, Quarter Page $25. 3. The articles should be within 3 Pages of a normal word document. 4. It should be written using Avro keyboard for Bengali writings. 5. Use Kalpurush font Size 11 to write the articles in Bengali. 6. For English use Times New Roman size 11. 7. Please send the original word document instead of the pdf file so that editing can be done. 8. No articles of political associated or culturally offensive will be entertained. 9. All publications are at the discretion of BCSM committee. The decision of the BCSM committee will be final. 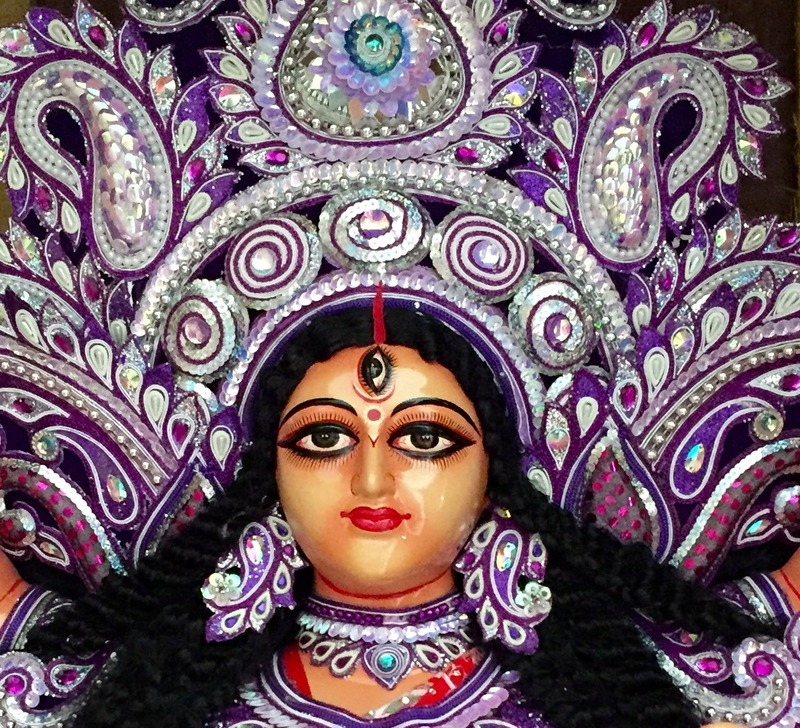 This year the BCSM Durga Puja event will be held on 23rd & 24th Sep at the Hindu Temple of Wisconsin. We are less than 7 weeks away from the event and need your help to make this event successful & memorable. 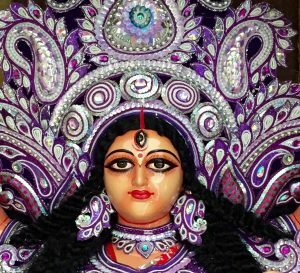 We are looking for volunteers for this year’s Durga Puja committee who would be working very closely and collaboratively with the board members in various categories based on your interest, experience and amount of time you can volunteer. Any and every small help will help us make this event successful and we truly appreciate your efforts. Based on the nominations, we will inform you of your area of help and will have a meeting towards end of August to finalize the plan of actions and responsibilities. There will be some planning meetings and some work which needs to accomplished before the event. bcsm.cultural@gmail.com & copy pbanerjee1109@gmail.com by 7th August.